Cases involving petit theft can be a misdemeanor or felony offense depending on the number of previous petit theft convictions. The penalties for petit theft can be severe including jail time and the loss of your driving privileges. If you have been arrested for the crime of theft, you should speak with an experienced Orlando criminal attorney at your earliest opportunity to learn about your rights and the defenses that may be available to you. Petit theft is a violation of Florida Statute 812.014 and occurs when a person knowingly obtains or uses, or endeavors to obtain or to use, the property of another with intent to, either temporarily or permanently deprive the other person of a right to the property or a benefit from the property, or appropriate the property to his or her own use or to the use of any person not entitled to the use of the property. Petit Theft/Shoplifting is generally a 1st degree misdemeanor punishable by up to 1 year in the county jail if the property stolen is valued at $100 or more, but less than $300. Theft of any property worth less than $100 is generally a second degree misdemeanor punishable by up to 60 days in the county jail. The levels of offense and penalties for petit theft can increase however, depending on the circumstances involved in the case. For instance, a person with two previous petit theft convictions accused of a third faces a 3rd degree felony punishable by up to 5 years in jail. If you or a love one has been accused of petit theft, speak with an Orlando criminal attorney today. In many petit theft cases, a properly prepared defense by a criminal lawyer will result in either reduced penalties, reduced charges, or a dismissal of the charges. Even in petit theft cases where the evidence of guilt is overwhelming, a properly prepared defense and presentation of mitigating circumstances by an Orlando criminal attorney can result in significant decreases in the penalties you receive. 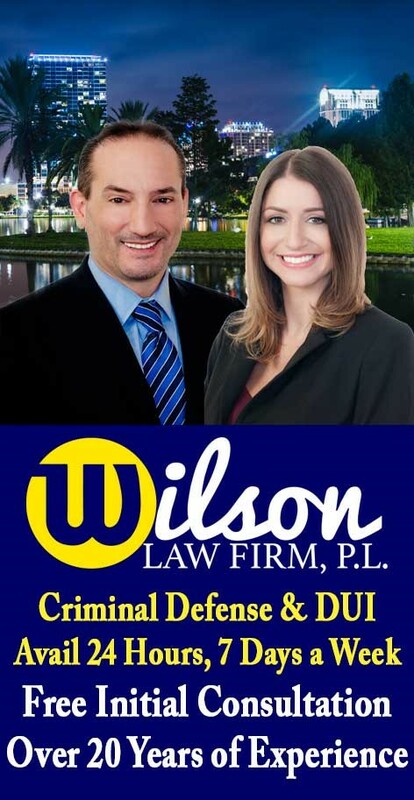 Petit Theft Crimes – The Wilson Law Firm provides a free initial consultation with an experienced Orlando criminal attorney. Call us today to speak with an Orange County criminal lawyer about the legal process and your rights.